With the two-stage Nordbloc.1 bevel gear unit, Nord launched high performance, washdown-optimised aluminium drives for hygienic applications. 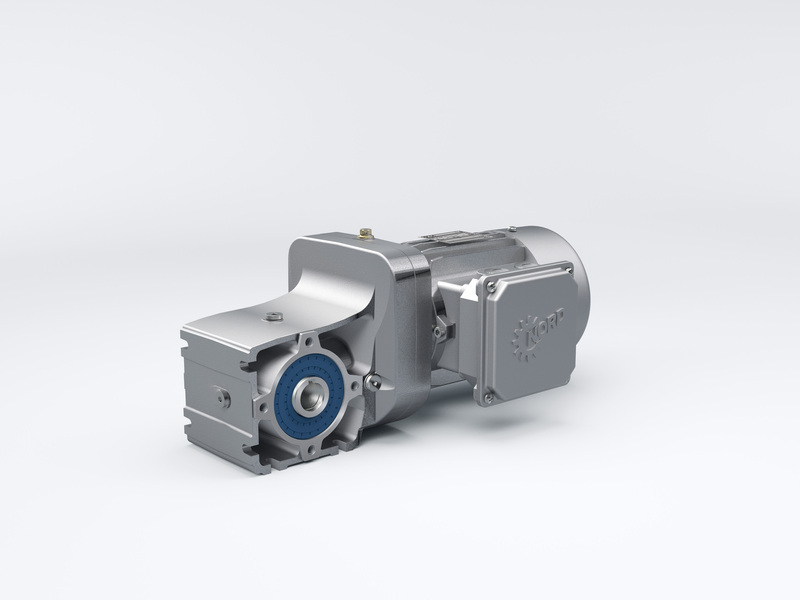 Now, the drive specialist expands its successful series with smaller gear units for torques up to 50 Nm and thereby offers an efficient alternative to worm gear units – for example for smaller conveyor belts. The new SK 9x0072.1 series has a power range from 0.12 to 1.1 kW and covers speed ratios from 3.03 to 47.67 : 1. The two-stage helical bevel gear units are characterised by high efficiencies, compact design, top reliability and long working life. The high-strength aluminium housing guarantees high rigidity and maximum durability with low weight. Additionally, the modular design provides wide application flexibility due to numerous application and mounting options. There are two models available: SK 920072.1 and SK 930072.1. The open housing of SK 920072.1 is lightweight but nevertheless very solid due to its construction. This variant is available with a universal foot flange version. With its closed housing, the SK 930072.1 is particularly suited for applications with stringent requirements for hygiene and cleanliness. Additional protection is provided by the optionally available nsd tupH surface treatment. The standard version is equipped with a B14 flange. All versions are available with solid or hollow shafts. The motor can be mounted directly without a coupling or adapter (IEC or NEMA). Accessories including torque arms, flanges, covers and fastening elements from the Universal series may also be used for this gear unit. The new, compact and flexible Nordbloc.1 bevel gear units are particularly suited for intralogistics and packaging technology, and thanks to their washdown design may also be advantageous for the food and beverage industry. The LogiDrive combines these new Nordbloc.1 gear units with an energy-efficient IE4 synchronous motor and the Nordac Link field distributor for an optimally matched drive system. These standardised geared motor variants are highly efficient, and thanks to plug & play technology they are extremely maintenance-friendly and benefit from a considerable reduction of spare part stocks, which also results in the reduction of versions.